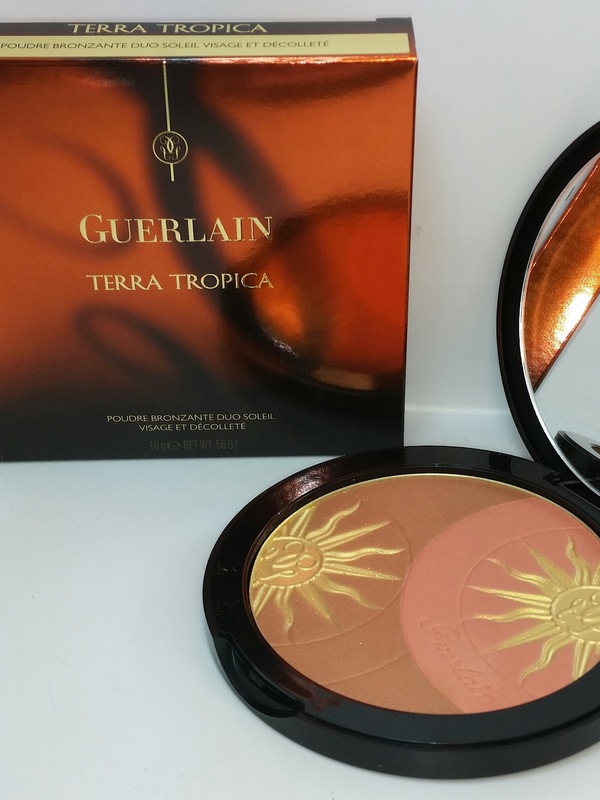 Terra Tropica is a limited edition Guerlain Terracotta Bronzing Powder. It warms up the face with dual shimmering shades of peach and tan infused with flecks of gold micro-glitter that reflect the light all the while warming up the complexion. The bronzer does have a faint perfume scent (tiare flower) but it isn't overly strong. 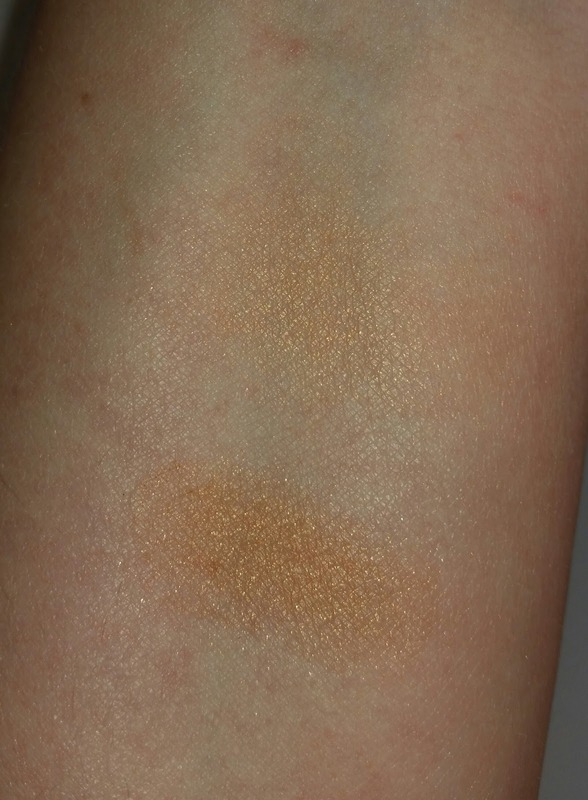 The bronzer is a little on the orange-y side and not very powdery. It gives good color payoff but a little pressure is needed when applying. 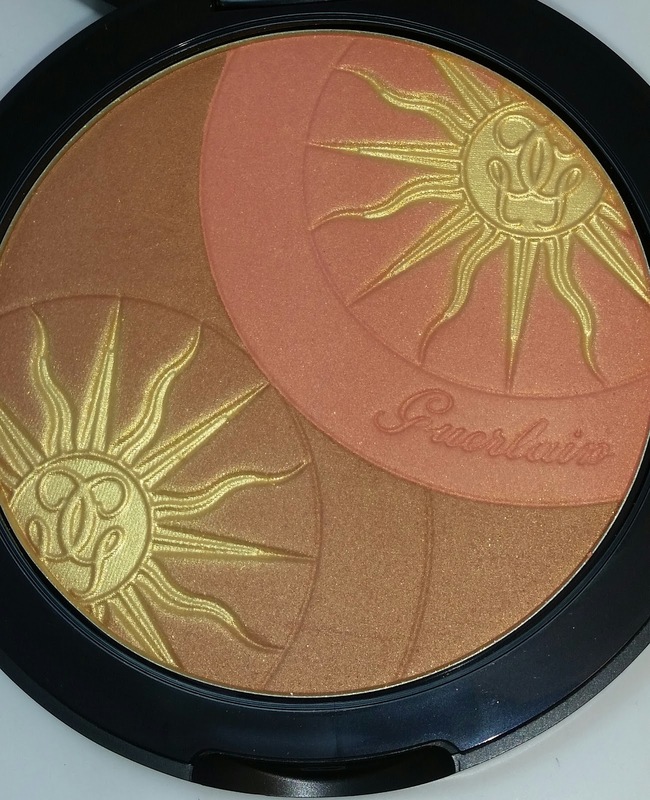 Overall this is a beautiful bronzer to have in your collection. 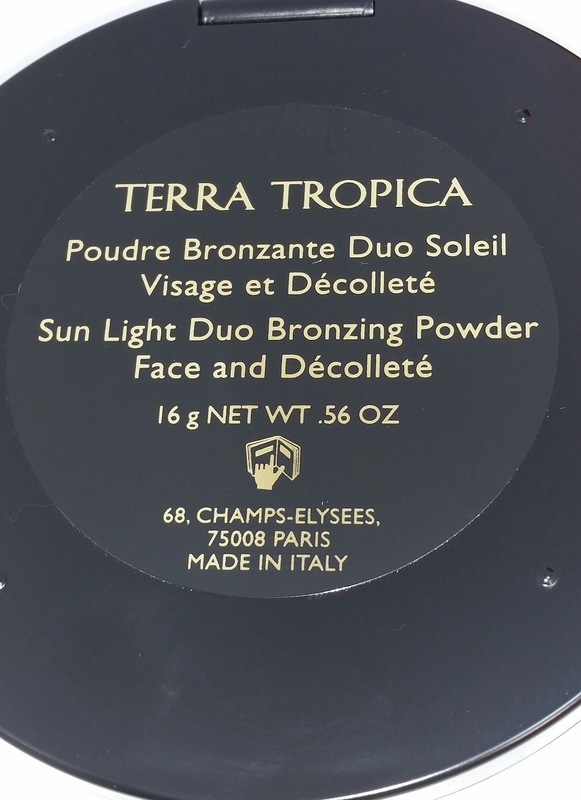 The Guerlain Terracotta Bronzing powder currently retails for $72.00 USD and contains .56 oz of product. "TERRA TROPICA reproduces the flattering aura of the light reflecting on skin at sunrise and sunset. As a precious talisman, it is engraved with two suns and combines a duo of shades to ensure a subtle and dazzling healthy glow."